Download plans This model is made in 92 mm. thickness square logs and it can be delivered in flat-packs. STANDARD KIT INCLUDES: 92 mm. 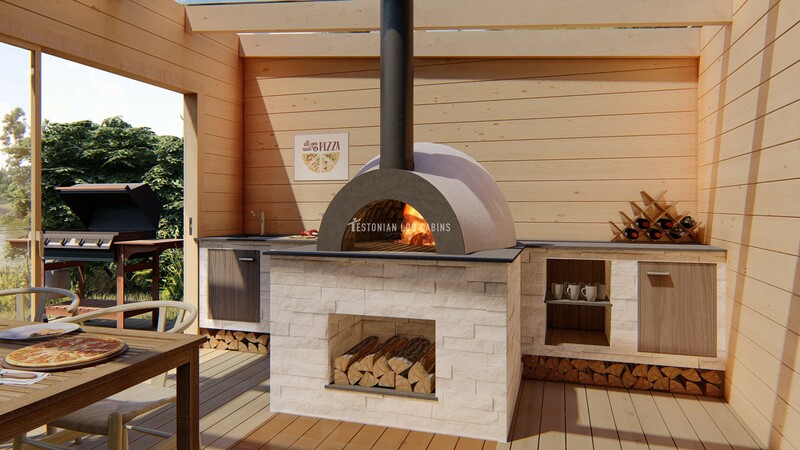 log wall set; kitchen units; granite worktop; pizza oven; chimney; glass roof; thermo-treated ash decking boards. green treated base frame; wooden sliding doors, and assembly drawings. 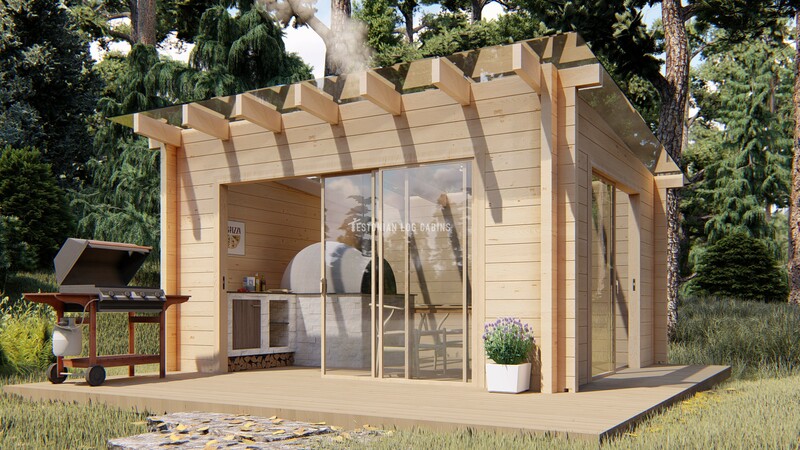 We also have a building team available, who can build this beautiful pizza house for you.